This is a sponsored post written by me on behalf of P.F. Chang’s Home Menu. All opinions are 100% mine. Sometimes I like to surprise my hubby with the unexpected. No, I’m not talking about something that will shock his socks off. I’m talking about an unexpected surprise that will let him know that I think about him throughout my day, no matter what I’m up to. Something that will make him feel cherished and loved. Such was the case one recent Wednesday night. It had been a busy couple of weeks, with both of us being pulled in opposite directions much of the time. 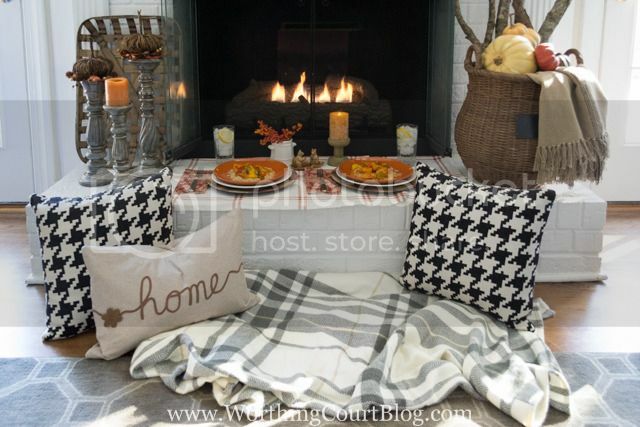 Since it was a chilly fall night, I thought that he would enjoy an intimate meal for two in front of a fire. 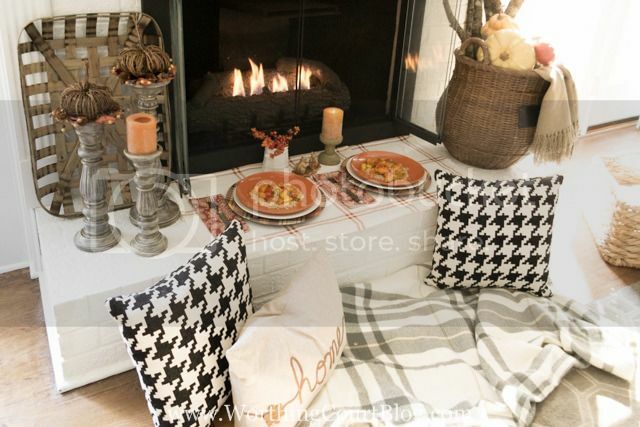 Not on a table, but down on the floor – romantic indoor picnic style. Even though I was no less busy than normal on this particular Wednesday and didn’t have a lot of time for cooking, I still wanted to provide a substantial, tasty, filling meal. Enter P.F. Chang’s Meals For Two and Wok Wednesday. 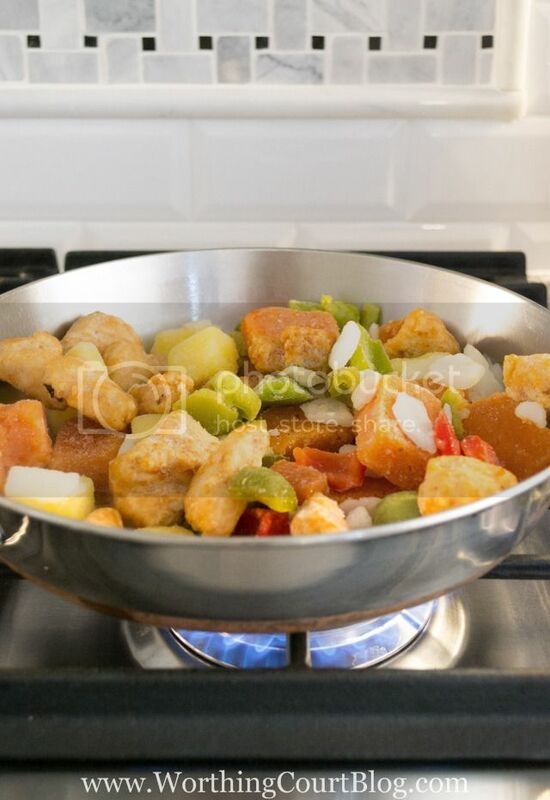 No, you don’t need a wok for this meal. A skillet works just fine and is what the directions on the package call for. 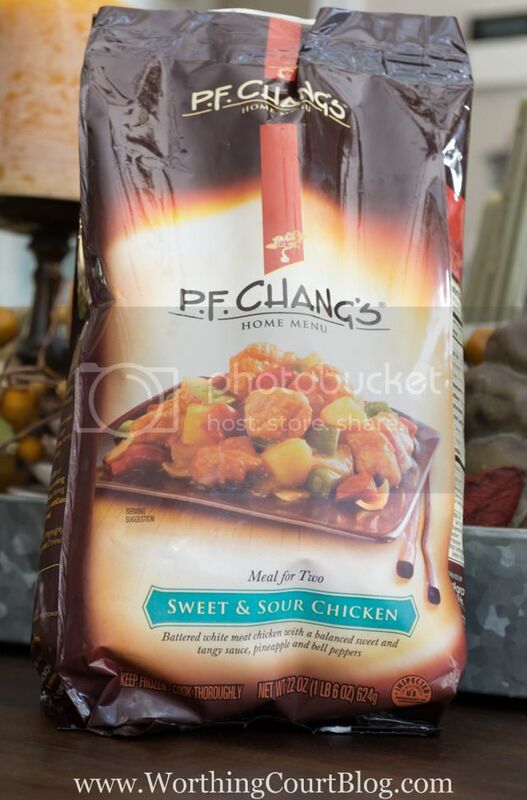 When I found the PF Chang’s meals for two in my grocery store’s freezer section, I was surprised at the variety of meal options that they offer. There were both appetizers and meals with beef, chicken or shrimp – all with their own special vegetables and sauces. I chose Sweet and Sour Chicken because I know that is one of my hubby’s favorites. It’s one of my favorites too, but this was meant to be all about him. I was surprised to see, that according to the package directions, all I had to do was to place the content of the package into a skillet and the meal would be ready in 10 minutes. You’ve heard me say many times that’s my kind of meal – fast and easy! If you’re a fan of authentic Asian food, you want to be sure to give it a try because it was yummy. A special evening for two without leaving the house! 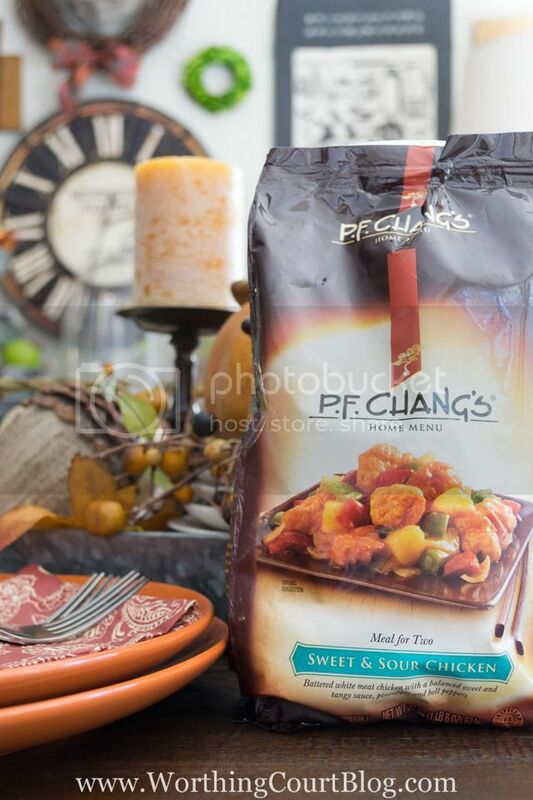 Celebrate your own Wok Wednesday by entering for a chance to win a PF Chang Wok Wednesday kit of your own! To be entered, all you need to do is to leave a comment at the bottom of this post telling me what you’d do to celebrate Wok Wednesday. Be sure to click on the Rafflecopter widget below to be included in the random drawing. Lucky winners will receive a Wok Wednesday Kit to enjoy their very own P.F. Chang’s Wok Wednesday meal! that all looks amazing, but next time you need to add an extra plate for me ok??? LOVELY!!! LOL, Christine – I’ll be sure to do that! ThThis is a great idea and the food looks great! It really is very tasty, Anne Marie. Hope you’ll give it a try sometime! What a great idea, Suzy! And so easy and tasty too! I will be copying your idea! It was so yummy, Lisa. Next time, I’ll also add one of their appetizers as a side dish. This looks fabulous! I am retired my hubby still working and we totally feel pulled in many directions…I need to show him that he is special to me! This would be fabulous idea! Thanks for sharing! Glad you like my idea, Teresa. We’re in the same situation – I’m retired, but the hubs is still working. The meal really was so tasty and you can’t beat the fact that it was ready in 10 minutes! 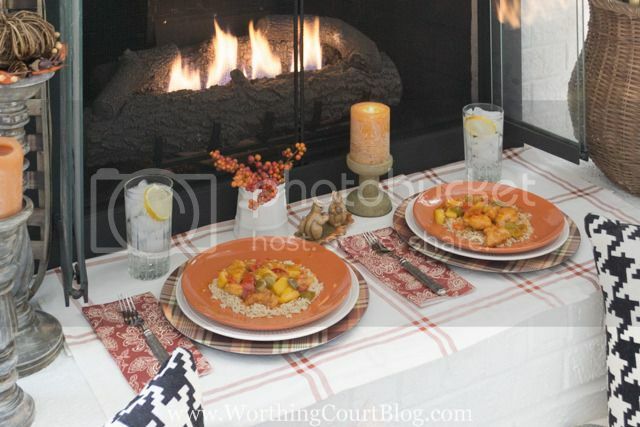 I’m glad to learn they have meals for two, since its just the two us now it makes cooking easier and it looked like a fun time in front of the fireplace. It looks great. Its always so good to get a recommendation about convenience food as they really vary in quality. I will definitely try this. The meal looked so delicious. I did not know they made meals for two. Since our subdivision in LaPorte Texas was hit by a tornado last Saturday with damage throughout, it would be ever so nice to try a P.F. Chang’s meal for two! Thanks for the giveaway! ?